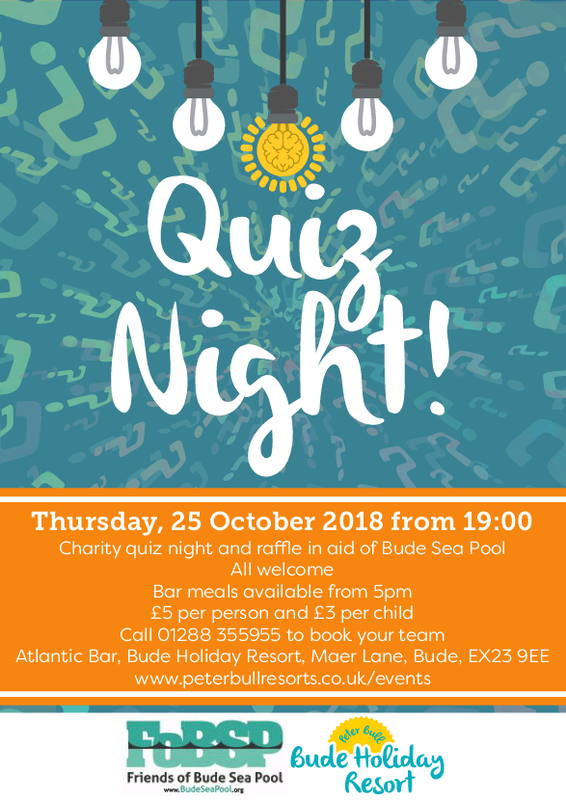 Charity quiz night and raffle in aid of Bude Sea Pool. The fun starts at 7pm, all welcome. £5 per person and £3 per child. Taking place in the Atlantic Bar at Bude Holiday Resort, Maer Lane. Please call 01288 355955 to book your team.